Business and career coach - about Sandra Whiles Coaching. I love my work as a coach, helping people, organisations, groups, teams and partnerships succeed and supporting small businesses to transform their ideas into reality. Before setting up ​​​Sandra Whiles Coaching Ltd in 2016, I worked for 35 years in the public sector. My last job was as Chief Executive for Blaby District Council in Leicestershire, described as "a great council" by the LGA in 2015 with very high levels of public satisfaction and staff engagement. I led work county-wide for the Leicestershire District Councils on health, housing and wellbeing, serving on a range of national, sub regional and local boards and partnerships. A large part of Blaby's recipe for success was down to the coaching and learning cuture I introduced. Over recent years, I have increasingly coached a wide range of partners, colleagues and business contacts across the public, private and not for profit sectors, who came to me when they were stuck or at a crossroad and wanted to find solutions for themselves. 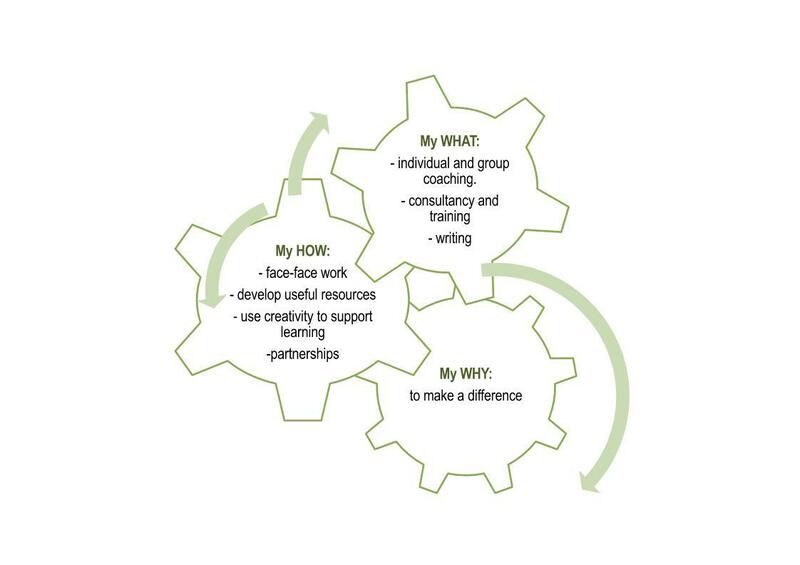 I loved my work in the public sector, but wanted to challenge myself and to make a difference by using my coaching skills with a wider audience and across different sectors. Sandra Whiles Coaching Ltd is my way of sharing my skills, knowledge and expertise to those who want to succeed in their career, business and organisation.. The coaching profession is largely unregulated, so when I set out on my journey to run my own coaching business it was really important that I had a strong academic and practical grounding and worked within a professional framework. The International Coaching Federation ICF) gives me this - requirements for an accredited period of theoretical and practical training, demonstration of knowledge and application of coaching ethics and competency, evidence of effective practical experience with clients and ongoing continuing professional development . I am really proud to have achieved the level of Professional Certified Coach with the ICF within 2 years of setting up my business. Sustainability is very important to me, so my work is designed and delivered in ways that give clients tools and approaches to use to maintain and build on their successes after their work with me is completed. ​ Take a look at my CV and Coaching Profile and get in touch for a chat about how coaching can help you succeed.